The HR Cincinnati Roundtable for February revisited a topic that we’ve done on a regular basis because it honestly never grows old! Also, we cover this topic because people agree it’s a needed business skill, but very few people do it well. What are we talking about? Networking. It’s so much more than a job search skill. To break the traditional thoughts around networking, Steve offered up the following questions for the small groups to chew on. What things should you stop doing? What are successful ways to consistently network? 1. Why should you network? To gain a new perspective and learn — This was a very healthy answer to begin the feedback. It’s a great reminder that when you connect with others you can get to know them and see how they view things. There’s great strength in considering perspectives which may be different than yours. It keeps you “current” — This may be a bit aspirational, but it works. When you have new folks in your network, you can stay abreast of trends and movements in business. To ensure this, you may want to make sure that staying current is something that folks in your network intentionally seek to make sure it actually occurs. To both get help and give help — This is solid! Great networking is not one-sided. You should not only receive benefit from knowing others and connecting, but you should contribute to the relationship as well. This needs to be stated because there are too many people who act more as “collectors” to just get what they want and are not reciprocal in the relationship. This isn’t healthy. Make sure that your network connections are two-way. To benefit your company — It’s ironic that many people identify themselves through their work. However, that doesn’t seem to translate to how they network. Having an established network can, and should, bring connections and resources into your company in order for them to succeed. To build relationships — Healthy networks are long-term. I know this runs contrary to how networking is typically practiced. However, if you choose to have someone in your network, it should matter. They should add value to you personally and professionally, and that should be the expectation of others as well. Great networkers have invested time with their connections and know them very well. It gets past just having them as an acquaintance. 2. What things should you stop doing? Stop using business cards as a lead-in — Business cards are simply pieces of paper. They’re exchanged politely and then forgotten. There are exceptions to this, but only if they’re exchanged AFTER you make a connection. When business cards are used as the lead-in to meeting someone, a connection is rarely made. Stop being disingenuous — A simpler way of saying this is quit being a fake. No one likes to meet people who aren’t authentic. You WILL be remembered if you’re a fake, but not in a positive way. Don’t let the “trash in your head” make you hesitate — This is a great phrase because we have so many voices in our heads that keep us from reaching out to meet others. We make up feelings that something will go wrong; the people we meet only want to use us, or they’ll think we’re not good enough of a connection. Those are just a few items that creep into our minds and keep us away from people. You need to empty the trash in your head and get out there to meet people. Stop stalking people — We all have limits and boundaries. You need to respect those when it comes to all relationships including your network. In order for this to happen, don’t make assumptions. It’s OK to communicate how you’d like to be connected and to what extent you think is productive. Just be up front about this. Stop making networking only about selling something — People want to connect with people. They don’t necessarily want to do this for a product or service. If you’re only intention is to make a sale of something, then don’t connect with people. It’s overbearing and insincere. The best salespeople develop relationships. Remember this please! It’s not about getting a job — After you pick yourself up off the floor from fainting, you need to realize this is a fact. It’s true that most jobs are found through networking. However, too many people say they “network” and find a new role, and then ignore the people they met during their search. This is icky. (Yes, that’s a formal HR term). Don’t use people. Your connections should be maintained over time. 3. What are successful ways to consistently network? Follow-through and be intentional — This may seem cliché and simple, but it needs to be stated because we’re not good at it. When you connect with someone in a networking environment, make sure to reach out after the initial introduction and truly connect on purpose. Don’t let these introductions just die on the vine. Be authentic and transparent — Yes, this is the opposite of the “being fake” comment from before. However, you need to practice this because people truly want this in relationships. It doesn’t just happen. Self-awareness of your strengths, and who you are need to be clear so that when you make connections people get to genuinely know you. Ask someone if they want to connect . . . or not — This is rarely done well. We’re afraid of being seen as impolite or aloof. You shouldn’t have this concern because not everyone is a good connection. That may seem harsh, but it’s true. You should take the time to see if a connection makes sense for both of you before you proceed. If it doesn’t click, then thank the person and move on. Know your capacity — Investing and maintaining your network takes time and effort on an on-going basis. Therefore, know how many people feel comfortable to you to have in your network. Very few people can have massive networks. They exist, but they are the exception. 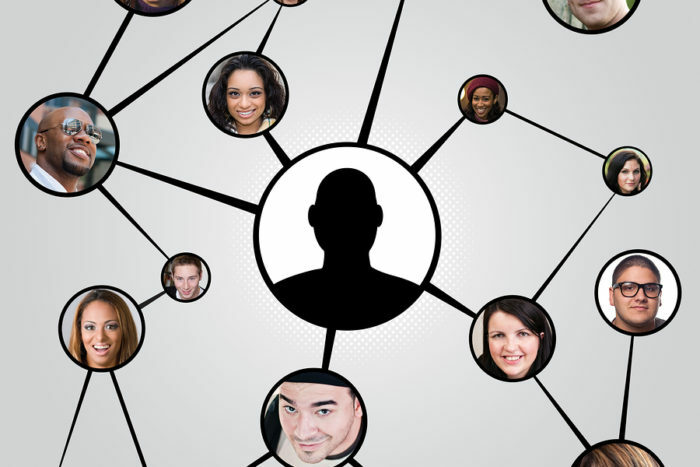 Get a feel of a good number of folks to have in your network and stick to that. You’ll be a better connection yourself if you do this. Remember people’s names on purpose — We need to make this a priority. Saying that it’s “hard to remember” is just an excuse. People were given a name for a reason. If this is challenging for you, work on it. Knowing someone by name makes a gigantic impact on them and your relationship. If they’re worth having in your network, it’s worth knowing their name. Steve ended this fantastic session with a challenge. The networking topic is always a huge draw because people want to make connections, and that is great. The challenge was that if connections matter to you, then come to the Roundtable regularly to make more time to learn and develop the relationships you establish at the forum.